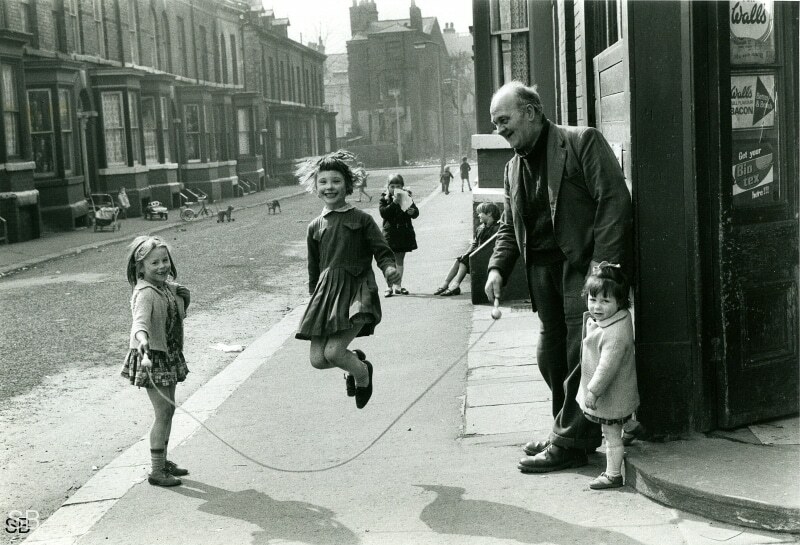 I loved the Shirley Baker exhibition, found it moving and inspiring both. 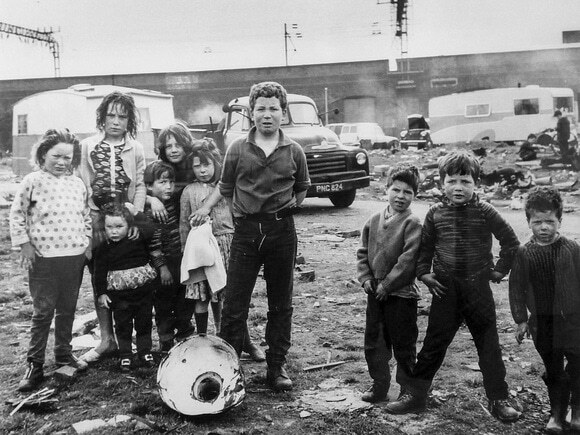 ‘Women and Children; and Loitering Men’ at the Manchester Art Gallery. 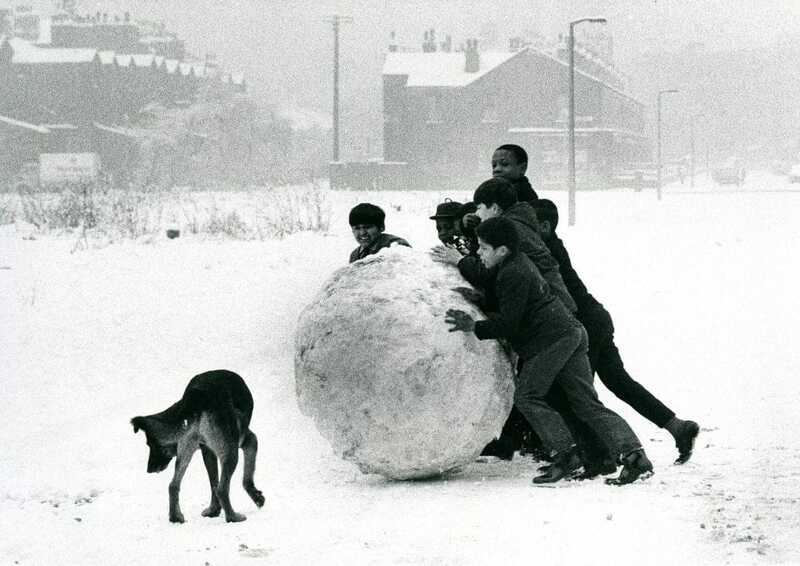 Her photographs are vibrant, beautifully composed, full of life, provocative–everything photographs should be–and at the same time her subject is the one closest to my heart: everyday life and working-class community. 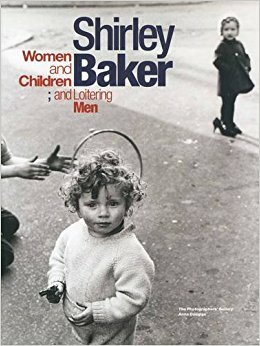 Pioneering British photographer Shirley Baker (1932-2014) is thought to be the only woman practicing street photography in Britain during the post-war era. 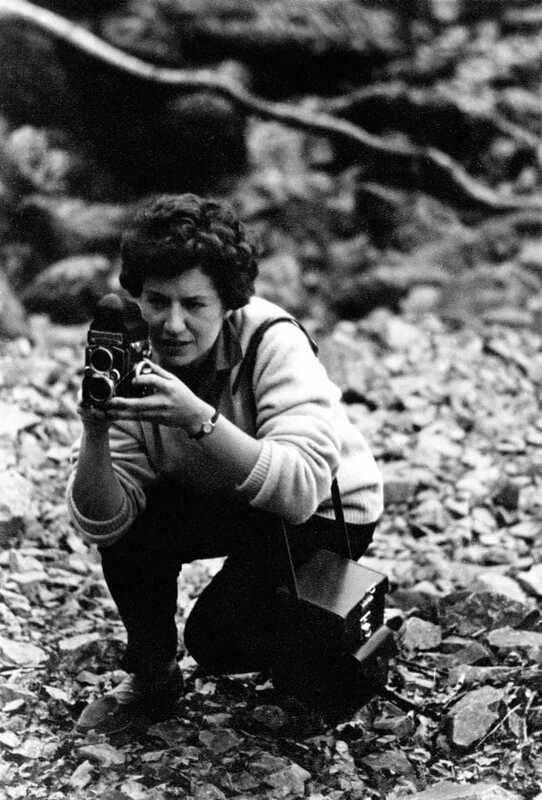 Baker’s humanist documentary work received little attention throughout her sixty-five years career. This exhibition includes previously unseen colour photographs by Baker alongside black and white images and ephemera such as magazine spreads, contact sheets and various sketches. 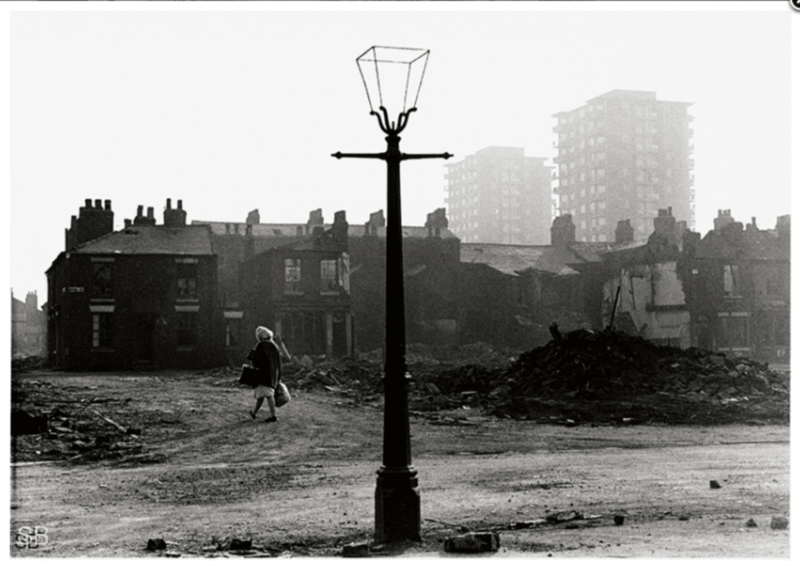 It specifically focuses on her depictions of the urban clearance programmes of inner city Manchester and Salford. 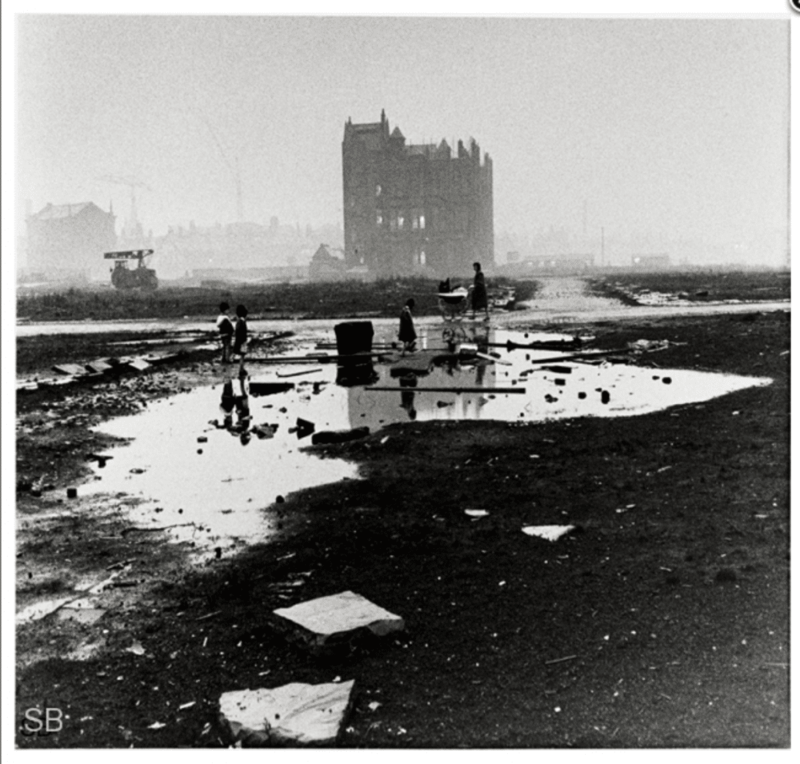 This intense period of study, spanning from 1961 – 1981, documents what Baker saw as the needless destruction of working class communities. For an amateur photographer and an urbanist and with a lifetime devoted to building power and community, these photographs sing. 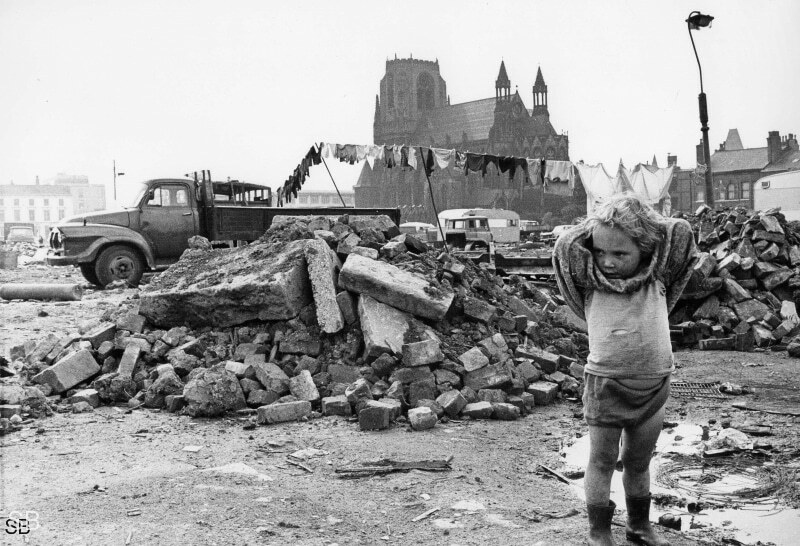 They document this structural period of demolition, the hope of better lives and council housing, the children my god the children everywhere and you love every one of them. Mothers everywhere too (and all my fears of being like that, like them, that joy vanished from them though I know often it is still there and it is my own fear speaking still, it seems visible only in the children and some of the old men). 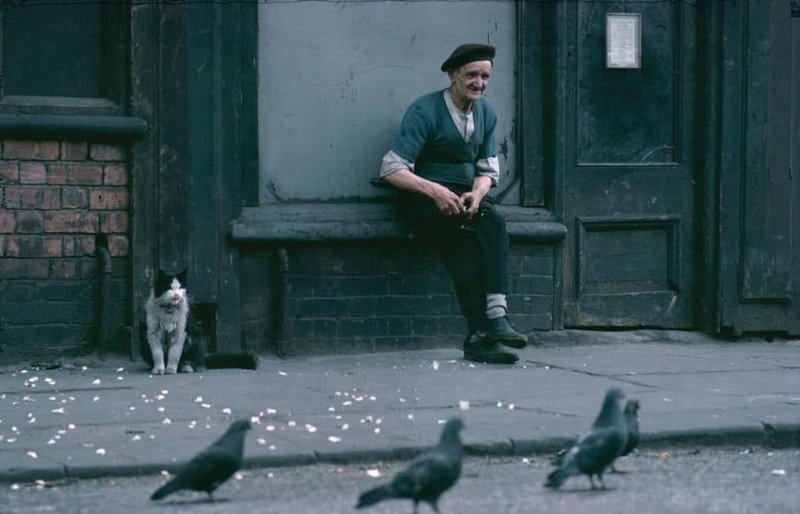 The old men, the unemployed, the laundry, the cats and the dogs, the hope and despair, beauty and laughter and oppression and a hard working life all painted in black and white and glorious colour. Maybe I loved most sharing this space with others, it felt like these rooms were filled with unusual suspects for a gallery, and a couple of older men were reminiscing behind me for a while about these days I was staring at captured with such compassion and immediacy it was altogether beautiful. 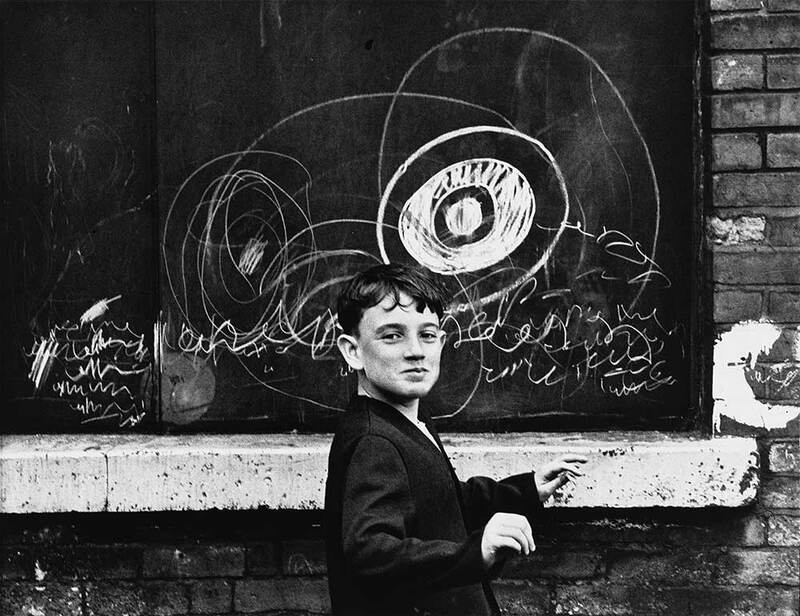 Shirley Baker (1932 – 2014) was one of Britain’s most compelling yet underexposed social documentary photographers. 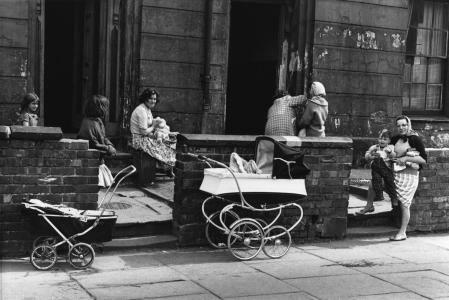 Her street photography of the working-class inner-city areas, taken from 1960 until 1981, would come to define her humanist vision. 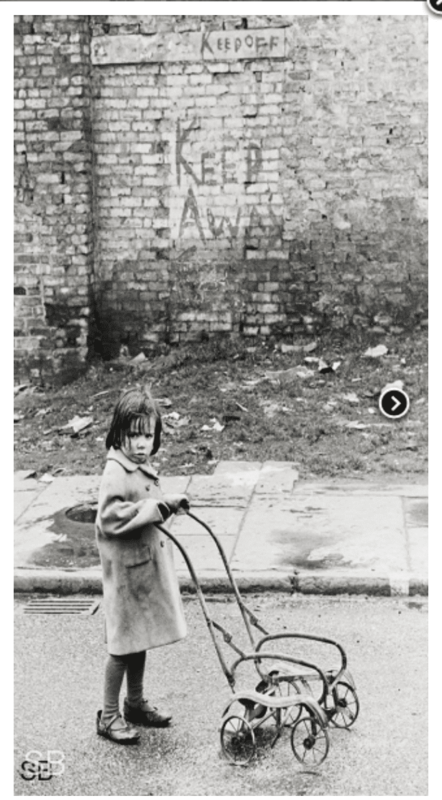 Hampered by union restrictions on female press photographers, she abandoned plans to work for the Manchester Guardian…. 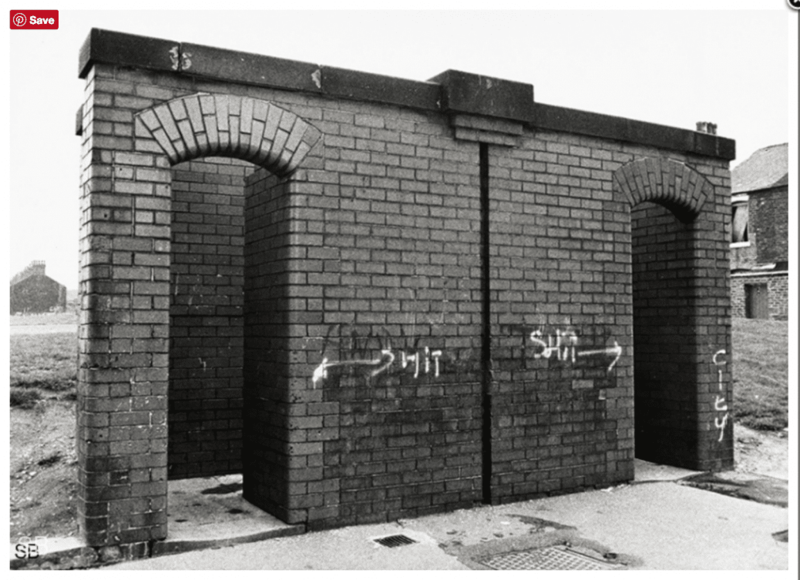 it is her empathetic but unsentimental photographs of inner-city working-class communities in Salford and Manchester as they experienced years of ‘slum’ clearance that has come to define her distinct vision. Look at these incredible visions of the city and the life that filled it and spilled over it as the face of it was being transformed. They are incredible, I wanted to see all of them. I wanted to know more of how she thought about them. I loved too, the exhibition’s integration of oral histories from people in these neighbourhoods, though I kind of hate the technology so I didn’t listen to all of them. I will be patient, I suppose, and wait for more. 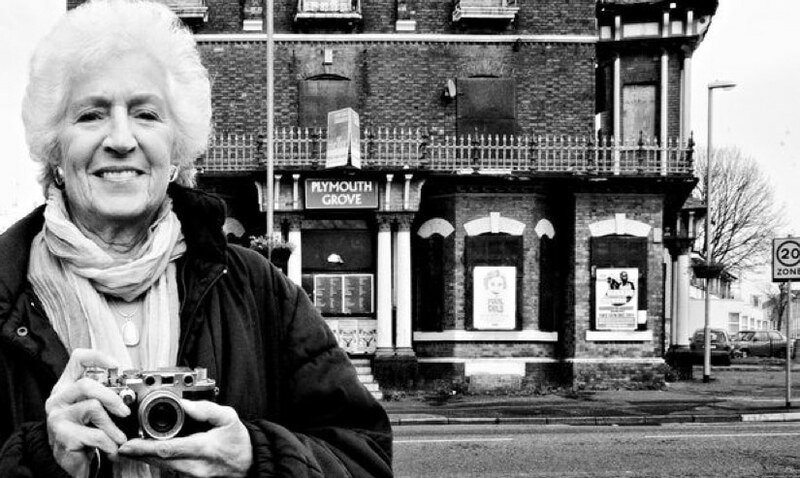 In looking for some of my favourite photographs I found this one online, an older Shirley Baker in front of this building I love and have long wondered about as I walk past it all the time on my way home, now a Chinese Restaurant on Plymouth Grove. It’s somehow so warming to think of her here, in my own place.